Technology is forever changing the way medical professionals work and interact. This book looks at the future of medicine and how patients will navigate healthcare settings that have been revolutionized by computers and social media. This book is an encouraging look at the healthcare workplace setting in the years ahead. 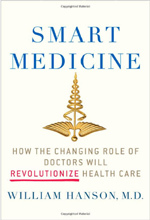 This is an approachable book that opens a window on the future of medicine. 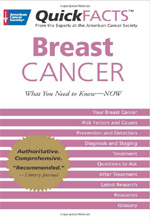 This book is a helpful guide for understanding the options available today for breast cancer. Produced by the American Cancer Society, it has the best and latest information on the subject and will be useful to anyone seeking solid information presented in a straight forward and practical way. This is an excellent resource. The human brain is a biological super computer, full of complexity and miraculous intricacy, and the subject of this companion to the PBS special. 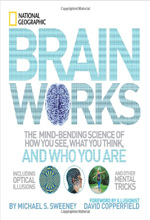 This book presents the human brain and neuroscience in an immediately personal way so the reader may identify with and come to understand the workings of this thinking organ. An amusing and engaging book, it will teach the reader a lot about the wonders of the human mind. Given as international gifts to favored foreign nations, the panda is the symbol of China. The panda has played a key role in diplomacy from Richard Nixon’s historic visit to the breeding programs of today. 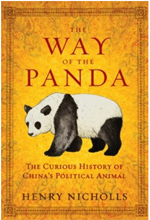 The Way of the Panda looks at this endangered animal that has found a place in every important zoo in the world, and the historical role it has played in international relationships. This wonderful book looks at RNA and its role in biology. From the discovery of the RNA molecule to today’s cutting edge research, the author goes through a historical examination of this building block of life. 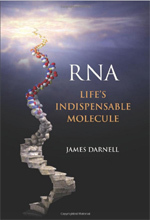 RNA: Life’s Indispensable Molecule is a superbly focused look at the science surrounding this remarkable molecule. 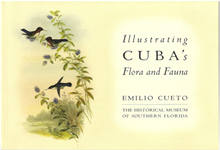 This book was prepared for an exhibition at the Historical Museum of Southern Florida. Known as the Pearl of the Antilles, the island of Cuba has a rich and diverse ecosystem that has inspired Cuerto’s finely depicted illustrations for this book. The flora and the fauna of that great island are rendered with exquisite detail.